When we’re triggered, the first thing to remember is that this is actually a fantastic opportunity. This issue/pattern is arising because the life force that enlivens this pattern (which is a part of our Essential Beingness that got separated off) desires to be freed so that it can express more fully in our physical experience. As we learn the Art of Embracing we quickly discover what it feels to be Centered, how it feels to be in that neutral, zero-point position. As we release more and more patterns we naturally live our lives from this Centered place more often. Then it becomes really obvious when we’re triggered. 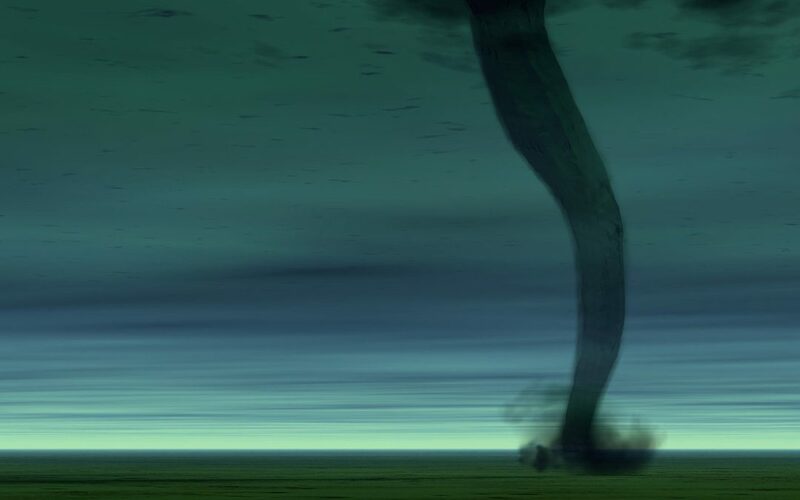 The experience of being triggered is very much like being sucked up by a tornado, caught in its swirl. Everything is spinning so fast and so crazily that we’re unable to think or see clearly. When we’re caught up in this swirl it’s very difficult to make a different choice. There’s often an overwhelming feeling-experience of panic or fear. We feel it happening. Often we know we’re caught. We know we’ve been triggered. However, when we’re caught up in this whirlwind, it can be very difficult to shift out of this crazy state. When we’re adept at the Art of Embracing we’re able to shift back into our Center at will. And if we’ve been triggered it’s impossible to embrace that issue if we’re not in our Center. If you are finding it challenging to get back to your Center it’s easiest to shift your attention first to something that makes you feel better. The objective is to shift out of the overwhelm, panic, fear or tension and access the higher vibrational feelings of openness, ease and relaxation. 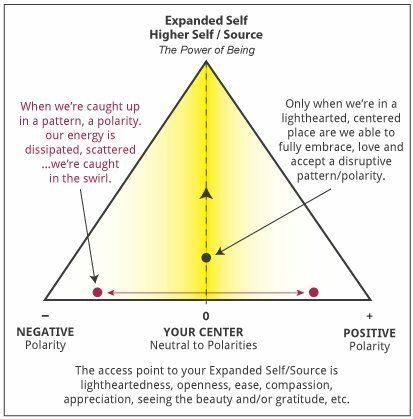 Once we’re back in our Center then we can embrace that energy form, that trigger. And, just in case you’re not familiar with the Art of Embracing process, it produces real, measurable results. It guides participants through the process of how to shift into Center as well as how to release patterns and triggers. To find out more about the Art of Embracing click here. Thank you Karen once again for your guidance. It’s my pleasure to be of assistance to you on your journey back to You.